An environmental safety specialist who had been fired in 2011 by an Energy Department contractor was ordered reinistated on Tuesday after the Labor Department determined that the employer retaliated against her for raising concerns about atomic waste disposal procedures at the Hanford Nuclear Reservation in Washington state. The Occupational Safety and Health Administration’s assistant regional manager determined that the Richland, Wash.-based Washington River Protection Solutions, owned by URS, must pay more than $220,000 in back wages and other expenses. Though Labor did not release the employee’s name, whistleblower advocacy groups and the office of Sen. Ron Wyden, D-Ore., released the OSHA letter identifying her as Shelly Doss, a 20-year veteran of the contract workforce at Hanford. 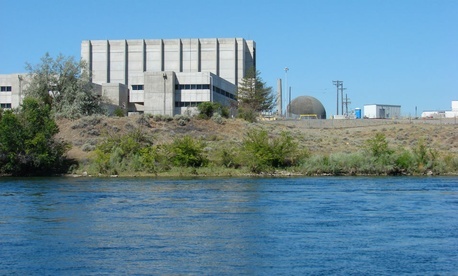 The World War II-era decommissioned nuclear processing plant on the Columbia River has been the setting for other whistleblower complaints that have been the subject of congressional hearings. According to the OSHA letter, Doss “repeatedly reported nuclear and environmental safety and permit and record-keeping violations.” But soon she was relieved of virtually all her work assignments. and the employer advertised the position as vacant, refusing “to rehire the employee despite adequate qualifications and previous satisfactory performance reviews.” In October 2011, after she continued to report environmental noncompliance as required by her job, she was terminated, and filed a whistleblower complaint with the Labor Department. "The people most able to identify hazards are often the workers who are threatened by them," said Galen Lemke, OSHA's acting regional administrator. "Employees must never be punished for sounding an alarm when they see a problem that could injure, sicken or kill someone, or harm the environment." A spokesman for Washington River Protection Solutions said the firm is currently reviewing the department’s order, which it received Tuesday, and that no decision has been made on whether to request, within 30 days, a hearing before an administrative law judge.